Code Name: S.T.E.A.M. Demo Out Now! 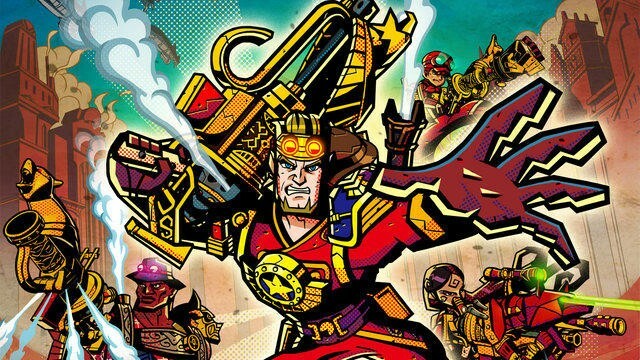 Code Name: S.T.E.A.M., the upcoming tactical strategy game from Intelligent Systems, the same studio behind Fire Emblem, has a new demo up on the eShop. Maybe I'm crazy, but I don't even remember this demo being announced before today. The game officially launches on the Nintendo 3DS on March 13 of this year. The demo that's out today will give gamers a nice taste of what's to come. Remember, though, you can only start the demo 30 times before it becomes unplayable. Me? I just keep it running without shutting off my handheld. It's only a problem if I'm regularly flipping between games on the same platform. Initial impressions surrounding the demo online are largely positive. The biggest complaint seems to be that the enemy phase can't be sped up, and it's currently borderline excruciatingly long. With a release date just over one month out, I'm not sure Intelligent Systems will have time to tweak that. Here's hoping they do… I can't stand waiting so long between turns when playing against the computer. I'm downloading this demo now. We'll have more on Code Name: S.T.E.A.M. as it comes. If the demo tickles our fancy or gives us enough to go on, we might do up a little discussion piece for your consideration. Stay tuned.